Add a little math to your summer! 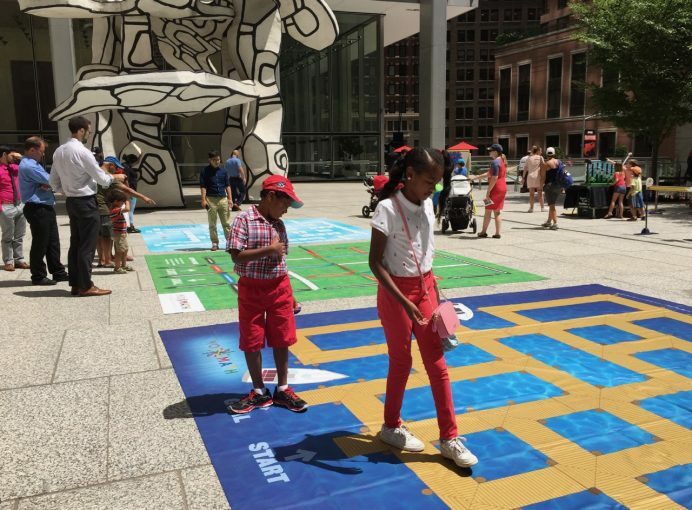 MoMath is pleased to present New York’s first-ever Math Festival to bring you a full day of mathematical fun. 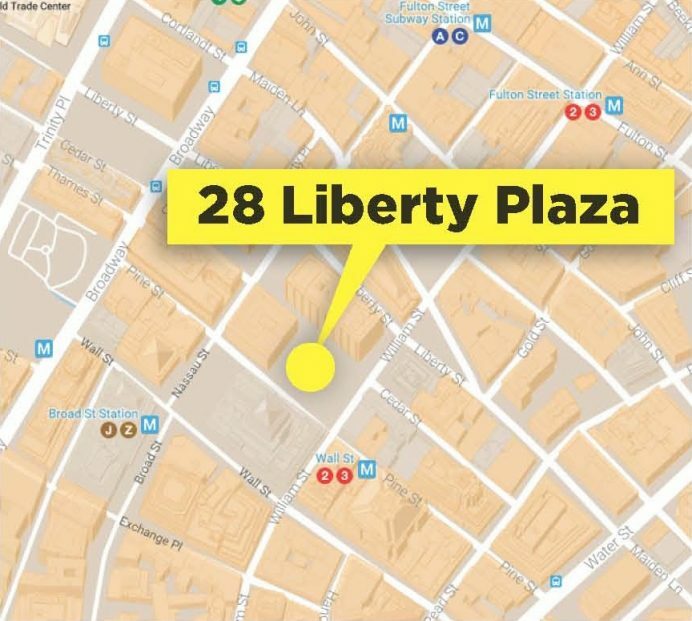 Take the entire family to the plaza at 28 Liberty and enjoy hands-on math exhibits, entertaining mathematical games, and intriguing puzzles and brainteasers. Plus, take home a little bit of MoMath: we’ll be setting up an outpost of Additions, the shop at MoMath, for all your summer gift needs. Slice shapes with lasers, explore giant mazes, crank up the math tunes, design a roller coaster, and more… Enjoy these and other Math Midway classics plus, new this year, experience the surprising shapes of math with Formula Morph, jump into an exciting race of mathematical and visual perception with PlayTruchet, and enjoy the mind-bending puzzles of Twist-n-Roll. Experience the joy of doing math together with others! Play fascinating games, hone your problem-solving skills, and enjoy unique mathematical activities, all in a relaxed social atmosphere, guided by an expert facilitator. Expected value and your money: play games of chance to learn about smart financial decision making! Experience visual problem solving like you never have before with MIND Research Institute. Participants will use their bodies, rope, and multi-step reasoning to solve topology and symmetry puzzles. 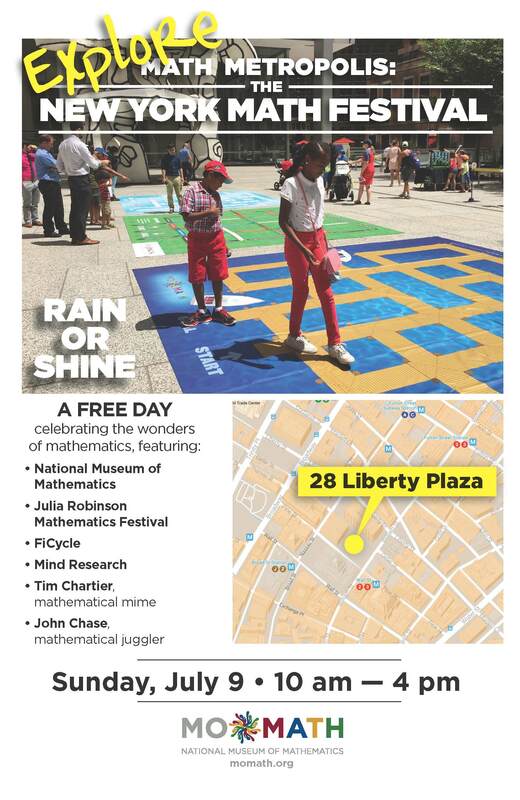 Math Metropolis, the NY Math Festival, is delighted to welcome the nation’s only mathematical mime, Tim Chartier, and to feature the mathematical juggling of educator John Chase. Mathematical snacks will be available for purchase from the Proof Café. This is a free, rain-or-shine event open to the general public from 10 am to 4 pm on Sunday, July 9. Contact MoMath at 212-542-0566 or functions@momath.org with any questions. Click here to download the flier.